From the dockside of Methil to the seaside of Tenerife – a revolutionary hydrogen project is set to change the way island nations are fuelled. Logan Energy are building the refuelling unit in Scotland which will be responsible for powering three service vehicles on the Canary Island. Playing a pivotal role in the resource-efficient flagship initiative COM(2010)2020, coordinated by National University of Ireland Galway (NUIG), we will use the expertise and results obtained from our work at the Levenmouth Community Energy Project as we develop the SEAFUEL system. Renewable electricity will power the desalination process, turning sea water into clean water. This will then be used to produce hydrogen for fuelling the vehicles. The project will also investigate an innovative new approach to electrolyse directly from sea water. SEAFUEL will demonstrate the feasibility to power local transportation networks using fuels produced by renewable energies and seawater, with no net carbon footprint. Islands pay a high cost for electricity and fuel, depending on mainland structures. With 30% of fuel consumption coming from transport, SEAFUEL represents a sustainable way to power vehicles using sun, wind and seawater. Work is currently at the design stage for the Sustainable Integration of Renewable Fuels in Local Transportation project, with installation scheduled for early 2019. “What we plan to demonstrate in the Canaries could be revolutionary in terms of how isolated areas, such as islands, are powered in the future. Making the most of their natural resources is not only important in terms of carbon footprint, but in cost. This project is co-financed by the European Regional Development Fund through the Interreg Atlantic Area Programme. 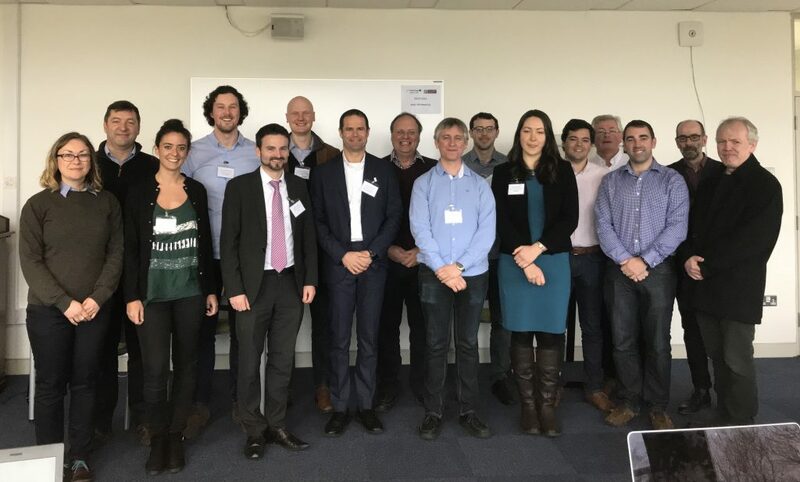 The project partners recently met in Ireland to kick off the project, with a follow-up meeting, which we will be hosting, set to take place in Scotland in June.